Saturday April 27th, 2019. Tee times approximately 9:30 – 11:00 am. championship flight, you may then participate in the Net Flights. to do, please make sure you mark your intentions on the sign-up sheet. in any qualifying rounds. Just simply sign up on the Net Flight sign-up sheet. 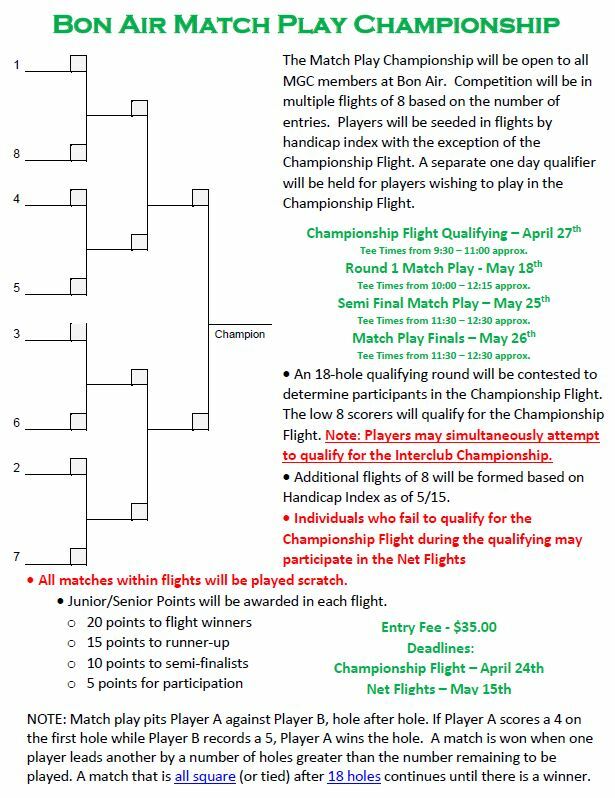 The 2019 Match Play Tournament Round 1 begins on Saturday May 18th. The Semi Finals are on Saturday May 25th and the Final matches will be played on Sunday May 26th.